This beautiful double sided porcelain sign (DSP) is navy blue, bright red, and a mute yellow. Measuring 72″ across, the sign shows an image of an Indian Chief in the middle, wearing his traditional headdress. 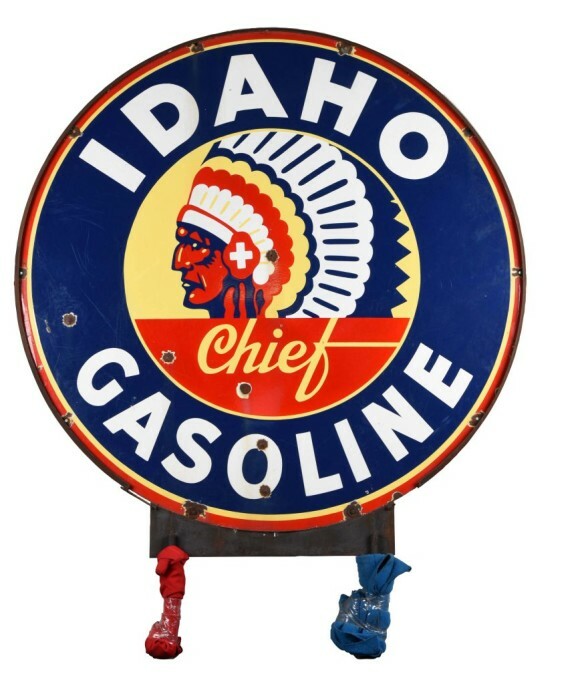 Above and below the chief reads “Idaho Gasoline,” and directly under the chief says “Chief.” The illustrative quality of this sign will make it desirable.